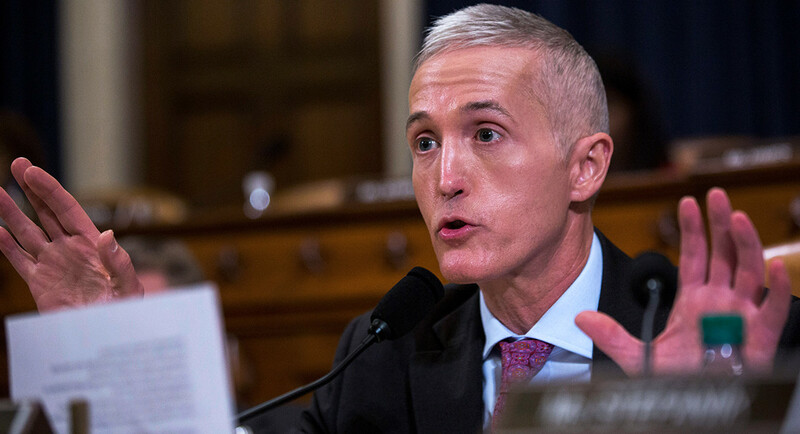 Gowdy grows a spine, finally! Man, I certainly wish many politicians could show the spine they need before they announce their intention to retire from public life. U.S. Rep. Trey Gowdy has just joined the growing list of pols who’ve found some much-needed courage — as lame ducks! Gowdy said on “Fox News Sunday” that there is no reason for Donald Trump to fire Deputy Attorney General Rod Rosenstein, who selected Robert Mueller as special counsel to lead the investigation into Russian meddling in our 2016 presidential election. According to Politico: The president’s ire over the investigation into possible Trump campaign ties with Russia, which Rosenstein stepped in to oversee after Attorney General Jeff Sessions recused himself last year, has grown considerably over the past week after Rosenstein authorized the raid in New York on longtime Trump attorney Michael Cohen. Gowdy is not alone among Republican lawmakers cautioning the president to avoid doing something profoundly stupid and foolish. Firing Rosenstein or Mueller — or both — would create a political earthquake that actually might register something on the Richter Scale … if you get my drift. As Politico reports further: Gowdy, a former federal prosecutor, noted that the decision to conduct the raid had to be made at the “highest level” of the Justice Department and that a “neutral, detached” federal judge “who has nothing to do with politics” had to sign off on the warrant, which was, in part, made on a referral by special counsel Robert Mueller. Republican U.S. Sens. Flake Flake and Bob Corker are retiring at the end of the year. So is GOP U.S. House Speaker Paul Ryan. Flake and Corker already have joined the list of Trump critics who keep reminding the president — and the rest of us — of the need to show restraint, decorum and judgment. Speaker Ryan hasn’t yet weighed in and I’m unsure he will. Gowdy, though, is exhibiting some of the “growth” that occurs when politicians liberate themselves from the pressure of holding onto public office.